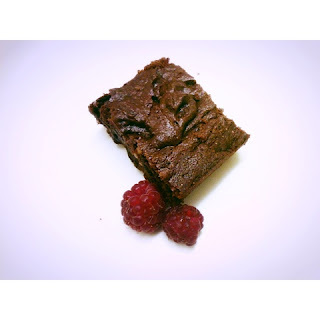 Anywho, these brownies turned out really fudgily fantastic, so now you too can procrastinate with tasty baked delights. 1. Whisk or use a fork to mix the first seven ingredients until everything is incorporated. 2. Fold in dry ingredients until the batter is smooth. 3. Pour into a small greased square brownie pan. Bake at 180C (375F) for 20-30 minutes, until the outside is firm to touch. Remove and allow to cool. Don't overbake!! !